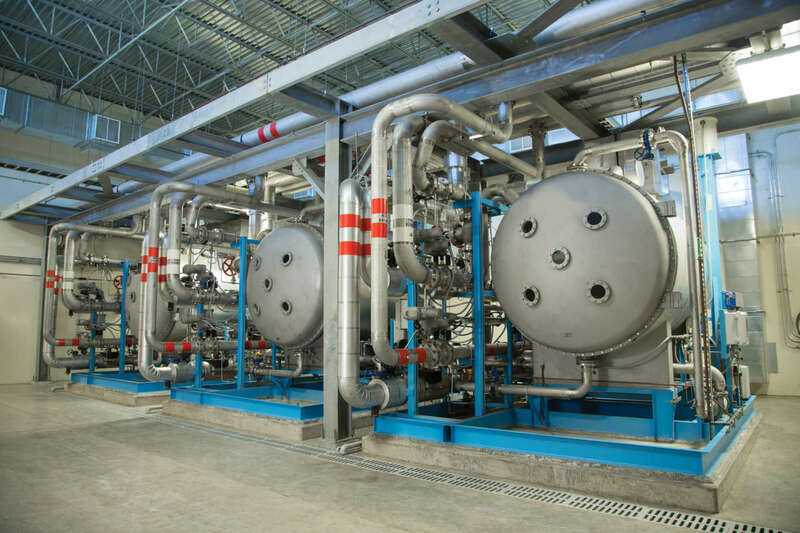 Ozone treatment has been successfully utilised for water and wastewater for several decades, continuing to be a feasible disinfection solution for both municipal and industrial plants, worldwide. Aquacell is pleased to partner with Aqua-Aerobic Systems and Metawater, Co., Ltd., a leading ozone provider and developer of MicroGap™ glass-lined dielectric core technology. With more than 800 installed systems, worldwide, this partnership allows Aquacell to build on our expertise and experience in ozone treatment and provide our customers with another quality product solution, the Aqua ElectrOzone™ Generation System. Robust design Taste and Odour Control - Oxidation and decomposition of dissolved components into tasteless and odourless soluble substances. Bleaching/Colour Removal - Colouring components such as pigments and humic substance are decomposed and bleached. Oxidation - Effective for decomposition of harmful substances and various types of cleansing. Disinfection - Virus, bacteria and fungi are disinfected and made inert.